Benazepril is a Generic name from the class of ACE inhibitors. Benazepril is used to treat high blood pressure. It may be used as individual therapy or with other medicines. It is an Angiotensin converting enzyme (ACE) inhibitor. It is used to control the blood pressure by relaxation of the blood vessels. If you have a history of Angioedema like swelling in hands, face, eyes, lips, tongue and throat. If you are pregnant and breast feeding. Patient is the child having severe kidney problems. If you are taking Aliskiren and have the history of diabetes or kidney problems, you are advised not to take Benazepril. If you are pregnant, planning to become and breastfeeding mothers. If you are taking any kind of medicines or herbal drugs. If have any allergies with any medicine, food or any substance. If have any kidney or liver problems. Even if you have undergone any liver or kidney transplantation. If you are dehydrated and is on a low sodium diet. If you are undergoing any treatment or taking any medicine. If you have any autoimmune disease like rheumatoid arthritis. Also if you have heart problems, diabetes, low blood pressure or low blood volume and high level of potassium in the blood. If you have to undergo any surgery or operation. What is the Benazepril molecular formula and weight? Benazepril is metabolized to its active form Benazeprilat. Benazeprilat competitively binds and inhibits ACE enzyme, thereby blocking the conversion of Angiotensin I to angiotensin II. It prevents the vasoconstrictive action of angiotensin II. It results in vasodilation. It also decreases the angiotensin II induced aldosterone secretion that leads to sodium excretion and increases the flow of water. Benazepril is not a diuretic. It is an Angiotensin Converting Enzyme inhibitor. How Benazepril works in the body? Benazepril and Benazeprilat inhibits the Angiotensin Converting Enzyme (ACE) that catalysis the conversion of Angiotensin I to angiotensin II. Angiotensin II is a vasoconstrictor that stimulates the secretion of aldosterone from Adrenal cortex. The inhibition of ACE results in the decreased concentration of angiotensin II resulting in decreased aldosterone and decreased vasoconstrictor activity. Thus, it helps in controlling the high blood pressure. Also the removal of Angiotensin II leads to increased plasma renin activity. 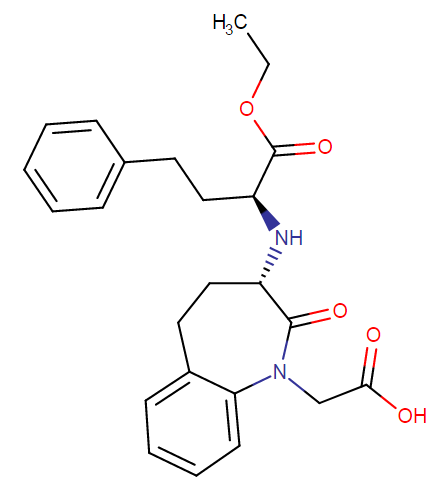 Therefore, Benazepril is also administered in the patient with low renin hypertension. Indication- used in the treatment of Diabetic Kidney disease, High BP, Heart failure and left ventricular dysfunction. What is Benazepril used for? It is indicated for the treatment of hypertension, to lower the blood pressure. The lowering of blood pressure decreases the risks of cardiovascular events, stroke and Myocardial infarction. Control of blood pressure is the first step to manage the cardiovascular risk management. Controlling the blood pressure reduces the risk of cardiovascular morbidity and mortality. The most important effect of controlling the blood pressure is to reduce the incidences of the stroke and myocardial infarction. Reduction of blood pressure is important in the patients who are suffering from diabetes or hyperlipidemia. It may be used also alone or in combination with thiazide diuretic. A single blind in the patient cross over study was conducted where it was studied about the efficiency of Benazepril 10 mg in the evening or morning. The results showed that the benazepril shows the effective control of blood pressure in the morning time as compared to evening time. Here, the loss of efficiency was observed 19 hours after the administration. The results also demonstrate that administration of Benazepril results in reduction of systolic and diastolic Blood pressure. Therefore, the dose of benazepril is best in the morning time. It comes in the form of tablets in the strengths of 5 mg, 10 mg, 20 mg and 40 mg. The recommended initial dose of Benazepril is 10 mg once a day if the patient is not receiving any diuretic. The maintenance dose is 20 mg to 40 mg per day taken once or twice a day. Adult– Recommended initial dose is 10 mg once a day. A dose of 80 mg gives an increased response, but it must be taken under the consultation of the doctor. The divided regimen is more effective in controlling the blood pressure as compared to take the drug once in a day. Dosage adjustment must be based on the measurement of peak, 2 to 6 hours after dosing. If the blood pressure is not controlled from Benazepril, then a diuretic must be added. Administration of benazepril with potassium supplements can lead to an increase of serum potassium. The patients who are treated with diuretic can suffer from symptomatic hypotension. To reduce the incidences of hypotension, the diuretic can be discontinued for 3-4 days. Then, if the blood pressure is not controlled with the Benazepril alone then the diuretic can be resumed. Children– Doses between 0.1 – 0.6 mg/kg and greater than 0.1 were shown to reduce the blood pressure. Based on this clinical study, the recommended starting dose in children can be 0.2 mg/kg once a day. For the children, who cannot swallow tablets, can take the tablet as a suspension. Treatment with Benazepril is not advised to be taken for the children of age below 6 years of age. Hypertension patients with renal impairment– the patients with a creatinine clearance of <30 mL/min/1.73 m2, the recommended dose is 5 mg once daily. The doses can be adjusted until the blood pressure is controlled. It is used to treat high blood pressure. It is an ACE inhibitor that helps in the relaxation of blood vessels so that the blood can flow easily. If you have a history of heart attack or just now have suffered heart attack then you are advised not to take Benazepril. Even if you suffer from other heart problems like heart failure, angina, coronary heart disease and aortic stenosis then consult your doctor for the administration of Benazepril. High Blood pressure leads to many serious health complications like strokes, kidney problems and heart attacks. Benazepril aids in lowering the blood pressure thus prevent us from all these complications. This drug is an ACE inhibitor and works by relaxing the blood vessels to increase the flow of blood. Thus, this medicine must be taken under the doctor’s guidance to treat the heart failure by lowering the blood pressure. The clinical study was conducted where 21 patients were suffering from congestive heart failure and they were treated with 2-15 mg of the drug orally once a day for 28 days. It was found that plasma ACE activity and aldosterone level decreases significantly and renin level rose after the therapy. The administration of the benazepril can cause reduced blood sugar in the diabetic patients. You are advised to discuss with the doctor the effect of this drug if you are suffering from Diabetes. He will tell you in detail about the effect of the dosing and effectiveness of this medication. Special monitoring is required a number of times by checking the blood sugar level. Constant monitoring of the patient’s health is required to be done if the Benazepril is administered to the patients having any kidney diseases. Changes in the renal function can occur if benazepril is administered as it is found to inhibit the renin angiotensin system. Patients who are suffering from renal artery stenosis, and chronic kidney disease might face the incidence of acute renal failure on Benazepril. If the patients develops significant changes in the decrease in renal function then the therapy must be discontinued or can be put on hold for some time. This medicine can cause hepatitis or inflammation of the liver. If you are already suffering from any liver disorders and reduced liver function, then consult your doctor. Keep monitoring the effect on your liver and the effect of this drug on the liver. The signs and symptom of liver problems include fatigue, loss of appetite, nausea, vomiting, dark urine, abdominal pain, yellowing of the skin, swelling and itchy skin. Some people that take this drug can experience the reduction in the white blood cells. White blood cells fight against infection. Consult the doctor if you experience any symptom like fever, diarrhea, shortness of breath, headache, stiff neck and weight loss. Can Benazepril cause chronic cough? Yes, the intake of Benazepril causes chronic cough. The cough is dry and unproductive cough. This is the side effect from the drug. If the drug is stopped then this side effect also get disappear. While taking Benazepril, it causes serious allergic reactions like rashes, itching, hives and difficulty in breathing, As the allergic reaction, it can also cause tightness in the chest, swelling of the mouth, face, lips and tongue. Angioedema is the serious allergic reaction that causes the swelling on the throat and tongue. Stop taking the medicine soon. Can Benazepril cause elevation of potassium levels? The people who takes benazepril causes increase in level of potassium in the body. This occurs in 1.1% of people receiving this drug. The increased level of potassium in the body causes confusion, nervousness, irregular heartbeat and tingling in the hands and feet. Also if you experience any of these signs, then immediately contact your doctor. Doctor will monitor the level of potassium from the blood tests. The initial dose is 10 mg orally once a day. With the diuretic initial dose can be 5 mg. The maintenance dose is 20-40 mg daily once in a day or equally divided twice in a day. The maximum dose is 80 mg per day. Allergic reactions include Hives, stomach pain, difficulty in breathing, swelling of the face, lips, tongue and throat. It has to be taken as per the prescription of the doctor. Some important guidelines has to be followed while taking it. Benazepril must be taken by mouth with or without food. Drink a lot of fluids while taking it. If you are not taking fluids in required amount then it can lead to light headedness or fainting. If you missed the dose of it, take it as soon as you remember it. If it’s the time for the next dose, then skip the first dose and take the next dose on time. You are suggested not to take the two dose at the same time. 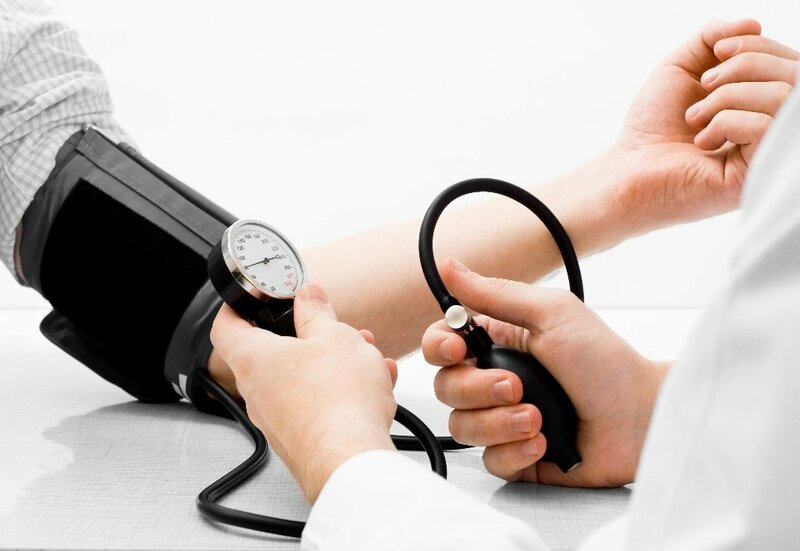 Your blood pressure needs to check often at regular interval of time. If you are having vomiting or diarrhea then call your doctor immediately. If you are sweating more than usual and becoming dehydrated then consult your doctor as this can lead to low blood pressure , electrolyte dis-balance and kidney failure. Store the medicine at room temperature away from moisture and sunlight. The male patients who are taking the drug of age 40-49 years are found to have addiction towards the drug who are taking Cymbalta and have depression. This came as a result of the study conducted on 3,546 people who have side effects after taking Benazepril. Can I abrupt Benazepril therapy suddenly? No, it must not be leave suddenly. Some diagnostic tests must be done in order to test the complications and side effects of the therapy. Can Benazepril cause withdrawal effects? The withdrawal symptom of the drug is usually found in female patients of age 40-49 years who also take Alprazolam and have high blood pressure. It is based on the reports of 3,546 people who were suffering from the side effects of the drug. Angioedema- Angioedema of the face, tongue, lips and glottis or larynx occurs in the patient who are taking Benazepril. Patients who are suffering from disorder in glottis and larynx will obstruct the airway. The drug must be discontinued and monitoring must be done by the doctor. Patients who are taking Benazepril are at the increased risk of Angioedema. Intestinal Angioedema- The patients consuming this drug can develop the intestinal Angioedema where the patient suffers from abdominal pain. It can be diagnosed with the help of CT scan or ultrasound. If the system occurs then, the therapy must be discontinued and must consult the doctor. Anaphylactic reaction- the patient can experience life threatening anaphylactic reactions. The patient who are undergoing dialysis, if taken this medicine, anaphylactic reaction can occur. The therapy must be stopped immediately as the continued therapy can be life threatening. How long does Benazepril take to work? Benazepril peak plasma concentration reaches within 0.5-1 hour. The absorption is 37% and protein binding is benazepril-97% or benazeprilat- 95%. In the liver benazepril is converted to its active metabolite, benazeprilat. Benazepril and benazeprilat are cleared by renal excretion in persons with normal renal function. The Half-life is 10-11 hours. The rate of clearance is 0.35 L/hr/kg in pediatric hypertensive patients receiving the drug 0.1 – 0.5 mg/kg and in healthy adults is 0.13 L/hr/kg receiving a single dose of 10 mg.
Use of drugs like Benazepril acts on RAS pregnancy increases fetal morbidity and death or reduces the fetal renal function. It can also result in the bone deformations, skill hypoplasia, anuria, hypotension, renal failure and death of the fetus. When pregnancy occurs, then consult the doctor to discontinue the therapy immediately otherwise adverse outcome can occur. Other drugs can be taken to manage the hypertension during pregnancy that do not have any side effects and complications. Through ultrasound, you can assess any risk to the fetus through examination of amniotic fluid. Benazepril is listed by the FDA pregnancy list of drugs in category D: There is positive evidence of human fetal risk based on adverse reaction data from investigational or marketing experience or studies in humans, but potential benefits may warrant use of the drug in pregnant women despite potential risks. The amount of Benazepril (unchanged) and Benazeprilat gets excreted in the breast milk if treated with Benazepril. The new born child can take this drug through the mother’s milk that can be dangerous to the new born baby. So, the drug must be discontinued with immediate effect. Can geriatric patients use Benazepril safely? The drug and its related compounds are excreted through kidney. Before giving it to the older patients of age more than 65 years of age, the precautions must be taken. These precautions are necessary as the older patients are more likely to suffer from renal problems in old age. You must take this therapy strictly under the observation of the doctor and it can lead to the serious complications like renal failure or even death. The over-dosage of Benazepril is the hypotension. In order to remove the excess of the drug from the blood, the most suitable way is dialysis. It must be done in the patients with the severe impaired renal function. Also angiotensin II can serve as the specific antidote in the setting of the drug overdose. As the hypotensive effect of the drug is achieved through vasodilation and hypovolemia. Therefore, it is fine to treat the benazepril overdose by using infusion of normal saline solution. With the oral administration of Benazepril the peak plasma concentration of the drug and its active metabolites reached within 0.5- 1 hours and 1-2 hours respectively. The bioavailability of the drug is not effected by food. The serum protein binding of the drug is 96.7% and Benazeprilat is 95.3%. The degree of protein binding is not dependent on age and hepatic dysfunction. Benazepril is completely metabolized by the Benazeprilat. They both are excreted by kidney. About 37% of the drug was recovered in urine as Benazeprilat (20%) and other compounds of the drug about 14%.Non-renal excretion is 11%-12% of Benazeprilat excretion. Half-life is of about 10-11 hours. Can I drink alcohol while taking Benazepril? When Benazepril is taken with alcohol then they both have the additive effect in lowering the BP. The signs are headache, lightheadedness, fainting and fluctuations in pulse or heart rate. If you experience any of these signs then contact your doctor immediately. Be careful while driving, sitting, lying position and doing any work. Can patients with liver disease use Benazepril? Ace inhibitors like Benazepril causes a syndrome that starts with cholestatic jaundice. It progresses to hepatic necrosis and even death. Patients who are using this drug and develops the jaundice or elevation of hepatic enzymes must avoid to take this drug. The medical advice must be taken. Lotensin HCT is used to treat high blood pressure. It is a combination of ACE inhibitor and thiazide diuretic. It works by lowering the blood pressure by removing excess fluid from the body. It causes blood vessels to relax or widen. Allergic to any ingredient in the drug. History of angioedema like swelling of hands, face, lips, eyes and throat. You can also face difficulty in swallowing or breathing. If you have allergies with medicine and food. Have the history of liver, kidney and heart problems. If you have an autoimmune disease. If have high potassium levels and low blood sodium level in the blood. Lotrel is a combination of amlodipine and benazepril. Amlodipine, ca2+ channel blocking agent that widens blood vessels and improves the blood flow. Benazepril, an ACE inhibitor that widens blood vessel, preventing the body from retaining water. It treats the high blood pressure. Please note -Do not use Lotrel if you are pregnant and want to become pregnant. Also it is not to be used if you have ever had angioedema like swelling of deep skin tissues. If suffering from diabetes don’t consume this drug with any medicine that contains Aliskiren. You are allergic to amlodipine or benazepril. If have the history of any allergic reaction. Avoid the drug if you are suffering from kidney disease, liver disease and heart disease. If you are breast feeding mother. Initial dose is 1 capsule (amlodipine 2.5 mg-benazepril 10 mg) orally once in a day. Maintenance dose: Amlodipine 10 mg-benazepril 40 mg orally once in a day. Benazepril known as Fortekor is used in the dog and cat to treat heart and kidney disease in both the canine and the feline. The effect is dilation of the blood vessels. The angiotensin converting enzyme produces a compound called angiotensin-II. Angiotensin-II is a powerful vasoconstrictor. It narrows the blood vessels causes increased resistance within the vessels and increases the amount of work that the heart has to do. Benazepril is given to a dog or cat that inhibits ACE that finally leads to vasodilation. It makes easier for the heart to pump blood and take off the load from the heart. It also helps to lower the blood pressure in cat and dog. Side effects are vomiting, diarrhea and weakness. More serious side effects are hypotension, hyperkalemia and kidney damage. VetACE is used for the treatment of dogs with heart failure. It is also used to treat the cats with chronic renal insufficiency & cardiomyopathy. VetACE contains benazepril, an ACE inhibitor that helps to control vasoconstriction of the blood vessels and preventing the retention of water by the kidney. Treatment of chronic renal insufficiency by reducing protein loss in urine. Can I take benazepril with ibuprofen? Ibuprofen is the Non-Steroidal Anti- Inflammatory Drug, it decreases benazepril’s therapeutic efficacy and increases the risk of kidney problems. Thus, this combination of Benazepril and ibuprofen must be avoided. Can I take benazepril with omeprazole? Omeprazole decreases effects of benazepril. Thus, before taking this combination, take the advice of the doctor. Can I take benazepril with Aspirin? If you are taking aspirin with benazepril, consult your doctor. He will advise you for the dose adjustments or special tests for taking both medications together. You are also required to check your blood pressure and kidney function test. Can I take benazepril with Metformin? Benazepril with metformin can increase the effect of metformin by lowering the blood sugar level. Symptoms of lowered blood sugar are headache, weakness, dizziness, nervousness, sweating and confusion. Consult the doctor before taking metformin. May be the dose adjustment is required and also keep the check on blood sugar level. Can I take benazepril with Lasix? Lasix is furosemide. When furosemide and benazepril are combined together, they act additive by lowering the blood pressure. You may require the dose adjustment or tests to take the combination together. If you feel reduced heart rate and dizziness then consult your doctor immediately. They have the additive effects are hypotension and hypovolemia. Can I take benazepril with Lithium? Benazepril increases toxicity of lithium carbonate and may increase lithium reabsorption by the kidney. It can burn your skin. Avoid the sun and sunlamps until you know how you react to benazepril. Use a sunscreen and wear protective clothing to protect yourself from the harmful UV rays. Benazepril if taken along with alcohol may cause dizziness, light-headedness and fainting. To prevent you are advised to sit and stand slowly, especially in the morning. Tell your doctor or dentist that you consume benazepril before undergoing any medical, dental treatment or surgery. Consult your doctor before you use a salt substitute. If you have high blood pressure, do not use the products that contain stimulants like diet pills or cold medicines. In case of diabetes patients – Benazepril may affect the blood sugar. Keep the check on blood sugar levels. Lab tests including blood pressure, kidney function test and blood electrolytes test must be performed while you use benazepril. Certain gold-containing medicines like sodium aurothiomalate) must not be given to the person receiving Benazepril as it caused flushing, vomiting and low blood pressure.